As a working class Brit who is earning just above the minimum wage here in the UK, it makes me so mad that the people of the USA are so apathetic, and you have to howl at them every show to simply move across the country for their own good to be with fellow Whites and they won't do it. What in God's name is wrong with these people? Have they no idea how lucky they are? All they have to do is hitch the U-haul and move, but they won't. Meanwhile people like me who want to move to the Northwest but can't due to immigration laws have to suffer in the cesspit which is Britain. Matt: what do you mean you can't move to the Pacific Northwest? Just buy a jet flight to Seattle, Washington and you're here. Immigration laws, you say? Well, that useless law never stopped 30 million squirming Mexicans from coming here. They came, they kept their heads low, avoided Immigration Police (Impo) found under the table work, made friends, and just blended into the woodwork. So come on. We'll help you every which way we can. We'll even work on Americanizing your accent in order to better blend in. 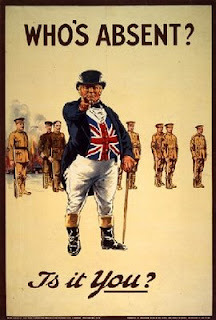 In the spirit of John Bull, are YOU absent? It would take a lot of courage to do it without a safety net, but mexicans do it every day. It could be done, not to say I envy the task. I'd respect it though. Would it be easier for Brits, and other Commonwealth people, to go to Canada? Hank: There is a story in your own newspapers about a German couple they are trying to deport who wanted to stay in the US to homeschool (verboten in der Vaterland). This with just coming and blending in only holds for jigs and greasers, normal usefull people are not welcome. A better plan is to go and get a job as a butler (seriously) for some rich Noo Yawk family and when their moneu has got you a green card, then fade out West. If you sneak in this country illegally, you WILL get caught. You WILL get locked up and deported a couple months later, and you WILL be barred from entering America ever again. Don't be stupid. A better plan is to go and get a job as a butler (seriously) for some rich Noo Yawk family and when their moneu has got you a green card, then fade out West.